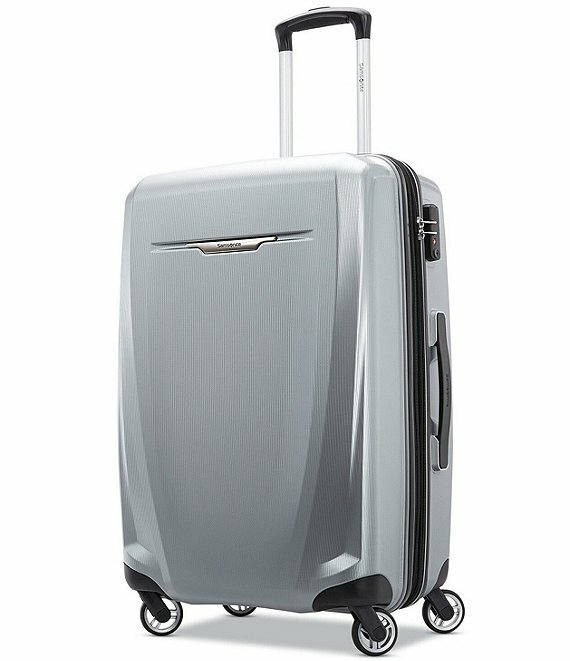 Tough and light, Winfield 3 DLX is the latest generation of one of Samsonite's most popular collections. When you need a tireless travel companion, Winfield 3 DLX will be there. 4-pocket, 2-sided panel that maximizes organization without extra bulk or weight. Oversized spinner wheels for easy mobility and glide. Easy-to-use large pull handle with a rubber-enclosed protected push button. Self-retracting carry handles that maintain a low profile when not in use. Mounted TSA lock to secure your belongings. Cases expand 1.5" for added packing capacity. Approx. 27" x 17.25" x 11.4"